Sources to notoriously accurate gossip blog Fameolous are claiming that R&B singer Monica Brown is expecting her fourth child. The site quoted a backstage snoop at one of “The Boy Is Mine” singer’s recent concerts who overheard Monica telling another friend that her daughter Laiyah asked her to dye her hair blue because she thinks her mom is having a baby boy. Brown, who is married to NBA player Shannon Brown, has yet to confirm the news and is keeping the news to herself and close family until she is further along. 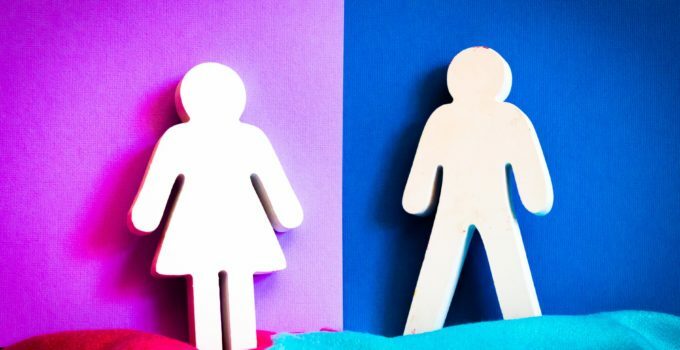 If it is a boy (or twins, some sources say she is expecting two), then it would be her third son. She has a 13-year old son, Rocko and 10-year old son Romelo with her ex, rapper Rodney ‘Rocko’ Hill. This would be her second child with Brown, a former Cleveland Cavalier player who currently plays for the Wisconsin Herd. In a recent photo of Monica with our more recent Bumpwatch alum, Blac Chyna, she wore a top that seemingly revealed a sizeable baby bump. Time will tell. Our Bellyitch Bumpwatch alum Monica Brown’s children won the celebrity kids costume contest in our book! The theme was ode to classic horror films and a half child dressed as a character from one of those well-known and watched films. The R&B singer’s 4-year old daughter Laiyah was that creepy doll Annabelle. 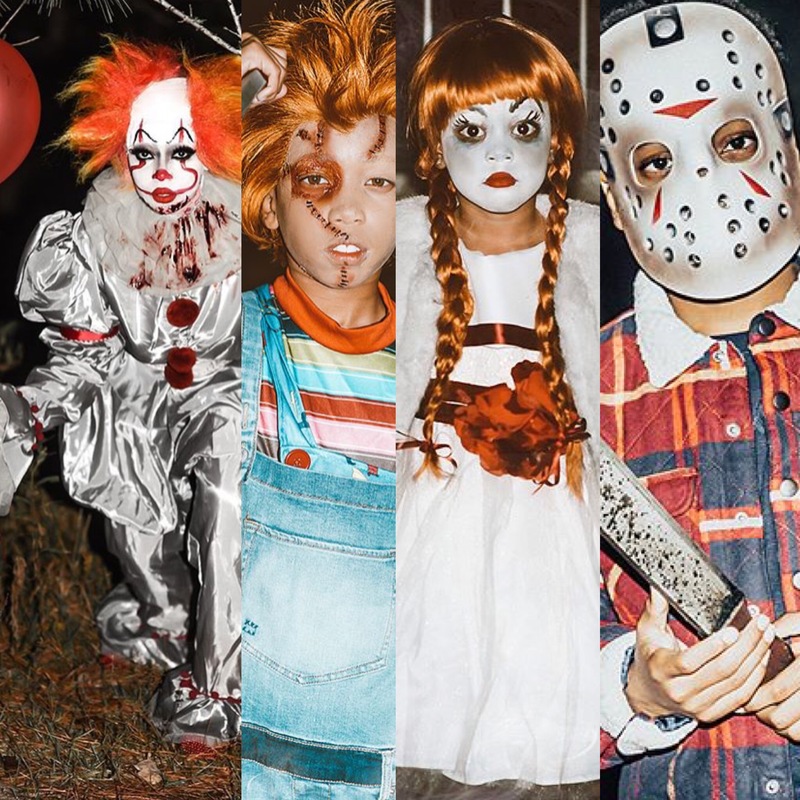 …and 9-year old Romelo went as Chucky from Child’s Play and Monica herself was that frightful scary clown Pennywise from It! Hubby NBA Milwaukee Bucks Shannon Brown diverted from the family theme and dressed as the character Anthony Curtis from the pop culture iconic Dead Presidents movie. Enter this barn at your own risk ➕ Zombie Princess Laiyah ? The Zombie Princess Laiyah & Her Pony….Happy Halloween ….. #Costume1 #PG13ForSchool insert creepy laugh? 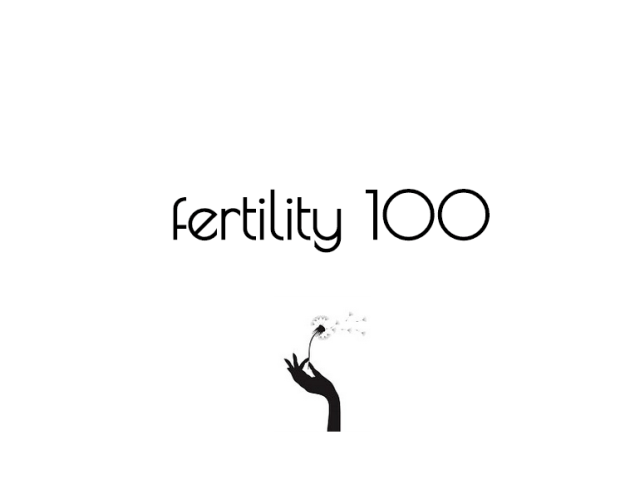 Kristin Cavallari‘s second pregnancy with her husband Chicago Bears quarterback Jay Cutler reminded us that many of our Bellyitch Bumpwatch alums are married and/or partners with professional athletes. Like Cavallari, who is a shoe designer and TV host, Gisele Bundchen is also married to an NFL quarterback, New England Patriots quarterback Tom Brady. It’s always interesting to note the height difference with some pairs, like: Adrienne Bosh and her husband Miami Heat NBA player Chris Bosh, Nashville actress Hayden Panattiere and her fiance Heavyweight boxing champ Wladimir Klitschko, and Savannah Brinson and Cleveland Cavaliers NBA player LeBron “King” James (in article header). Scandal‘s Kerry Washington keeps her relationship and marriage to hunky former NFL cornerback Nnamdi Asomugha secret but when spotted out, they both look adorbs together, as do Kim Zolciack-Biermann and her husband Troy Biermann of the Atlanta Falcons. Though, the very gorgeous Biermanns are very public as can be seen up and down Kim’s Instagram page. And the “other” footballers (soccer) from across the ocean include Caroline Berg Eriksen and her husband Norwegian Premier League football player Lars-Kristian Eriksen, and the very fashionable and chic A-List couple Victoria Beckham and her retired football star spouse David Beckham. Representing the Hockey League are Hilary Duff and her Canadian professional hockey player estranged hubby Mike Comerie (whom she is currently divorcing from) and Carrie Underwood with her NHL Nashville Predators hubby Mike Fisher. 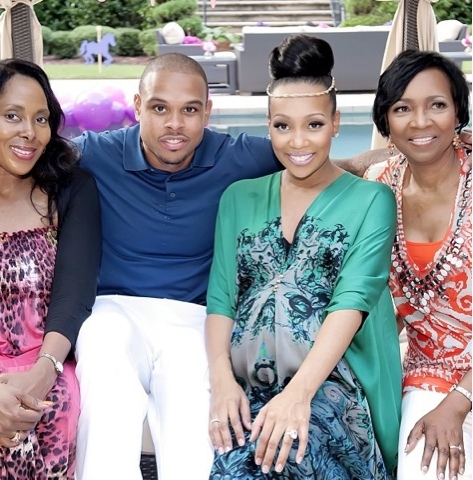 Finally, Monica Brown and her ex NBA star hubby Shannon Brown have one of the most endearing relationships and a wonderful blended family. Same with Evelyn Lozada and her hubby LA Dodgers Major League baseball star hubby Carl Crawford. 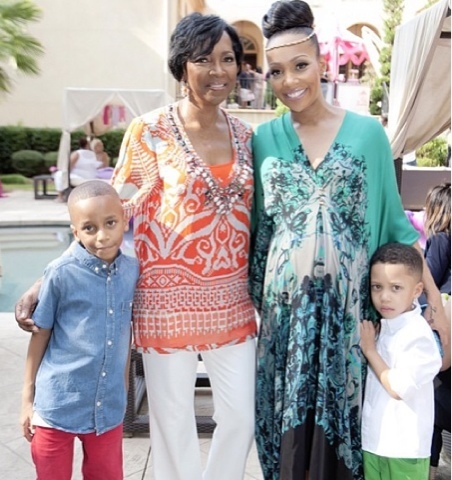 Monica Brown celebrated her baby shower this weekend to welcome her daughter Laiyah. According to Sandra Rose, her husband Shannon Brown planned the swanky event held at a private residence with an event planner. There was a fire throwing display, horses and ponies, a stilts walker and more to entertain guests. 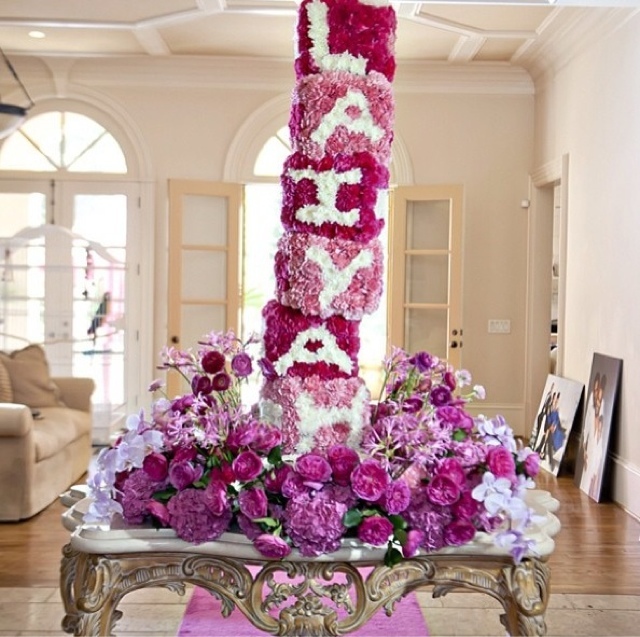 A special drink, the Laiyah love was served. Monica is due in 3 weeks. SandraRose.com and Straight from the A have more pics. Check out the few Monica shared via Instagram. Monica, mom Marilyn Best and sons Rocko & Romelo. Shannon and Monic With their moms. It’s been at least three weeks since we checked in with actress and singer Monica Brown who is expecting her first child with husband Shannon Brown of the NBA. Thanks to innovation and the new Instagram embed a photo options, we get to share recent “bump watch” photos the gorgeous and graceful child star turned inspirational mom and Grammy-Award winning songstress posts on her Instagram account to her nearly million followers and fans. From the looks of it, she has been having a pretty enjoyable summer and breezy pregnancy. Out and about and looking quite youthful and nothing like a woman in her mid 30s in trendy Hombre hair and funky graphic T.
Also, Courtney Mazza Lopez sent a sincere and sweet reply after reading her husband Mario Lopez‘s endearing message to the couple’s daughter Gia as part of a Time magazine special featuring celebrity dads messages to their daughters. Mom-to-be Cacee Cobb tweeted a throwback photo from her wedding of her dad and husband Donald Faison who is a dad from previous relationships. Who needs a publicist or to wait for a magazine to schedule in an interview when you can filter all the information your fans want to know via social media? That’s what many do including one of our bumpwatch mom-to-be R&B singer, actress and reality TV star Monica Brown who spent over 6 hours yesterday responding to questions her fans submitted via Twitter in an #AskMO session. Theyre SO excited ask DAILY is it time LOL ❤Love them RT @paul_loveslife: @monicabrown how do your kids feel about your pregnancy? 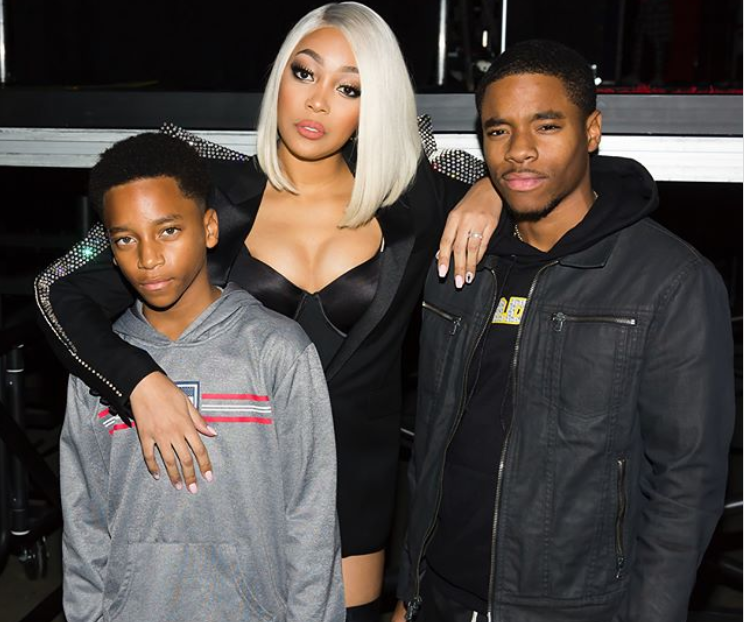 Singer and actress Monica shared a photo of herself, husband NBA‘s Shannon Brown, and his son Shannon Brown Jr. from a previous relationship, out and about. Her boys Rocko and Romelo were at their grandmoms during the outing. She added that her step-son, who she calls “Bam”, is referring to his unborn sibling as his own. How Perfect! Blended family love! Singer and mom-to-be Monica celebrated her eldest son Rocko‘s Wrestlmania themed 8th birthday this week. 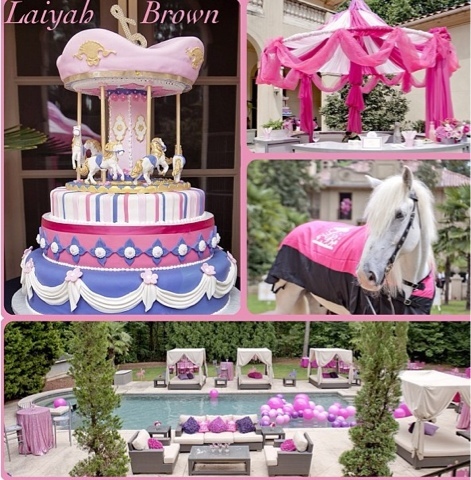 The festivities included go-kart racing, horseback riding, a moon bounce and other fun festivities according to photos she shared with her Instagram and Twitter followers. Check out the snake Rocko’s Goddad rapper Ludacris arranged to come to the party as part of a Zoo Atlanta‘s traveling reptile show. Looks like a super fun time! Earlier, she showed all how to take a tasteful and cute pregnant mom bathing suit pic for public consumption while wearing a one piece key hole print bathing suit under a dark beach wrap. Tres chic, magnifique! We are loving the turquoise nail polish too. Brown told one of her followers who asked for advice with dealing with morning sickness that she suffered from it all day, recommending the fan get “preggie pops” to manage the symptoms. Good advice. 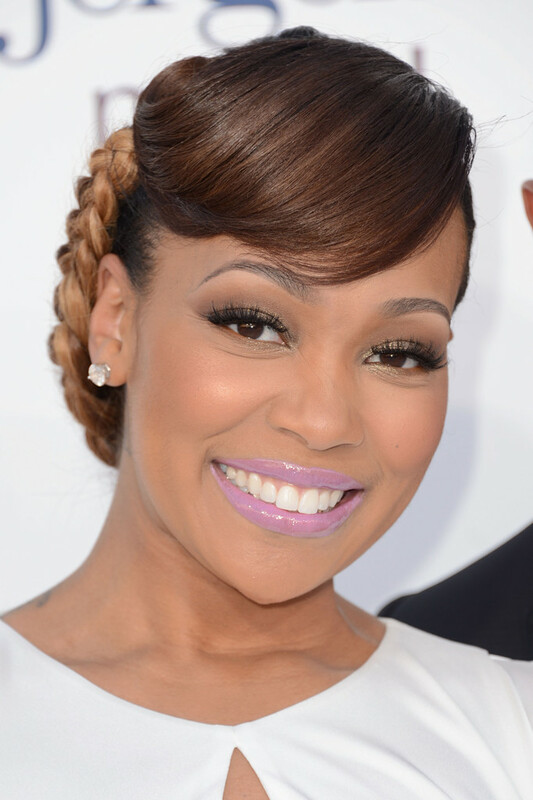 Monica and her husband, Phoenix Suns‘ Shannon Brown are expecting their first child together. Since announcing her pregnancy, singer Monica, has been showing off her maternity style in photos of her life she shares with her Instagram followers. The Atlanta native and songstress catapulted on the music scene at age 13. She eventually landed a historic placement of having two consecutive chart topping R&B Billboard hits, the youngest singer to ever do that, and later won a Grammy for her duo, The Boy is Mine, with singer Brandy. She has acted in TV shows and movies and starred in her own reality TV show, Monica: Still Standing, which aired on the BET network. 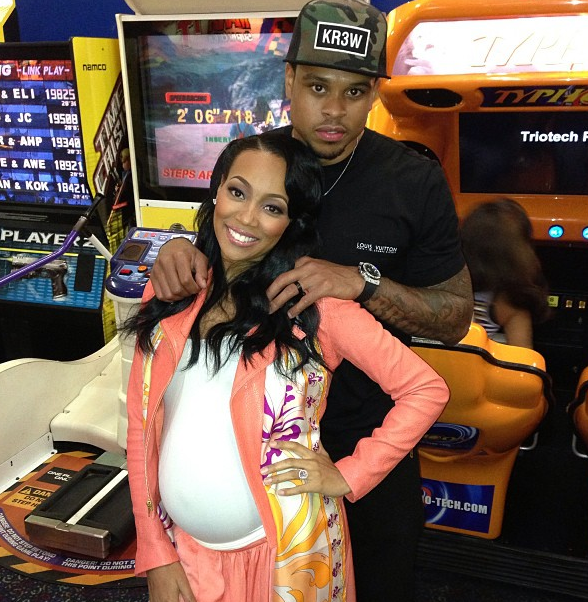 Brown and her husband NBA’s Shannon Brown of the Phoenix Suns are expecting their first child together. Celebrating her son Rocko’s academic achievement at school. Monica has two children from a previous relationship. Five-year old Romelo and 8-year old Rodney (Rocko) Hill III. Celebrating TI’s son, Major’s, birthday at Chuck E Cheese. Her style is cute and on the conservative side yet still stylish.